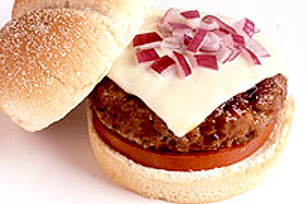 If they like cheeseburgers, you can bet the family will love these double cheeseburgers, made with tangy barbecue sauce, SINGLES and mozzarella. MIX together egg, parmesan cheese and barbecue sauce. COMBINE with ground beef and shape into patties. BARBECUE until done; brush with additional barbecue sauce. TOP grilled meat patty with cheese slices.